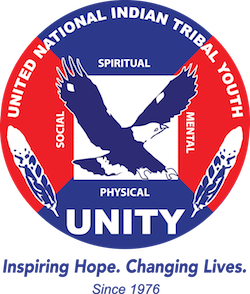 Become part of UNITY’s National Network to promote personal growth, citizenship, and leadership among American Indian and Alaska Native Youth! UNITY Annual Membership is effective from July 1-June 30 of each year. Note: New Youth Councils will be asked to submit Constitution, By-Laws and Resolution Letter for a sponsor. Templates of these needed documents can be found in the step-by-step guide. Sponsoring Agent (Tribe or Organization). If you have questions, please contact the UNITY Headquarters at 480-718-9793 or email LorenAshley Buford at [email protected]. Native American youth can make a difference, but first they must be organized and prepared for action. An effective way to accomplish this is through a youth council. Keep in mind that youth councils are just as diverse as Native America itself. Each youth council maintains its own identity and is built upon the needs and values of that particular community. By being involved with a youth council, young Native Americans can use their combined talents and energy to address major concerns facing them today. Youth design and promote their own programs to fit their needs. Young people who are involved with youth councils learn to accept responsibility. They grow through achievement and in the knowledge that they are making a real contribution to their community and to Native America. Find out more about the Benefits of Joining a Youth Council, What a Youth Council Does, and Steps for Organizing a Youth Council. Download the “How to Start a Youth Council” packet by clicking HERE.